Hi everyone! 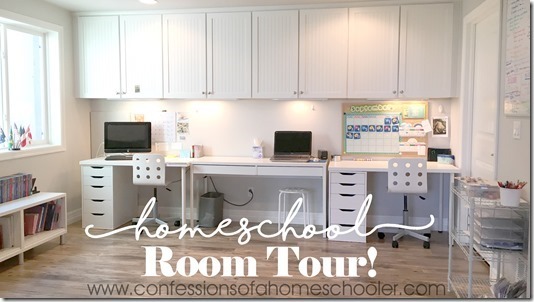 Today I’m sharing my 4th grade homeschool curriculum picks with you! 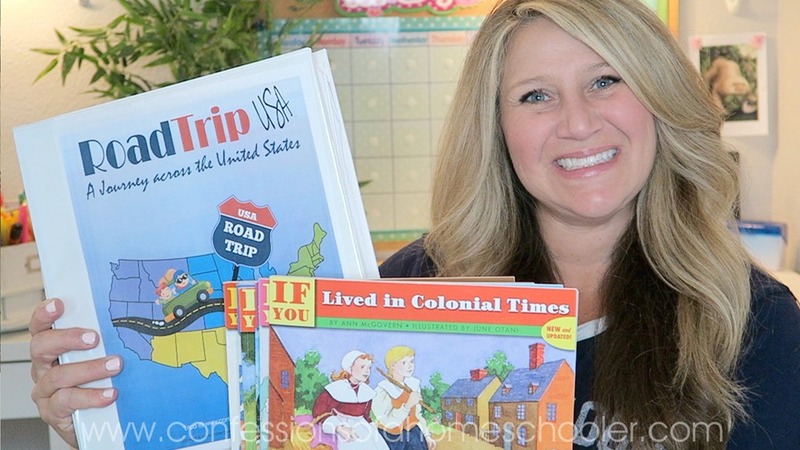 I’m super excited for this year as we’ll be doing my Road Trip USA curriculum again! My 4th grader was too young when we did it last, and so I’m super thrilled to be able to experience it with her now that she’s old enough. So let’s see what she’s doing this year! 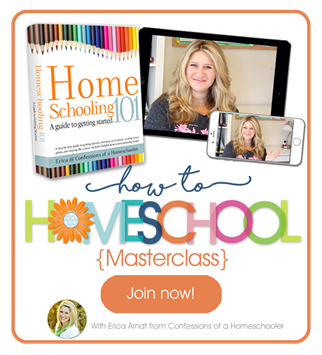 Watch my 2018-2019 4th Grade Homeschool Curriculum video here! 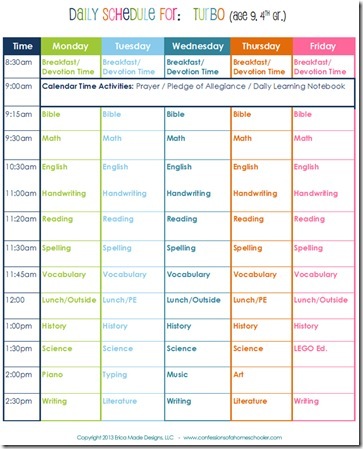 Click here to see what our typical 4th grade daily schedule looks like! Looking for more 4th grade curriculum suggestions? Check out my 4th Grade Top Homeschool Curriculum Picks post! It lists all of my favorites that we’ve tried over the years. There are multiple suggestions for each subject to give you a variety to choose from! Hope that helps! When preparing your curriculum for fourth grade I think the best advice I can give you is to keep it fun and engaging. I like to plan in a lot of field trips wherever we can fit them in. I also make sure to keep track of my student’s workload when planning the year. I use a sample schedule to chart how long each subject will take before buying curriculum at this stage. Fourth grade workloads usually increase a bit, and so the transition can be difficult if you add in too many subjects each day. You may find it easier to alternate between electives doing them only a few times a week instead of daily. I also like to choose elective curriculum that is more hands-on and engaging. Fourth graders will have a more worksheet oriented year depending on your choices, so I think incorporating hands-on activities can help keep school more fun. Continue teaching them how to work diligently and more independently where appropriate. I like using the workbox system to help my students learn to complete tasks more independently. Here’s a video on our workboxes and how we use them in our school! Could you go into detail how you use Abeka science. I find Abeka science a little over whelming! Do you do it all? Do you do the quizzes, tests? We usually do the daily reading, and we do open book quizzes, then the tests normally. It is a TON of material as it’s more designed for a classroom. So I do skip things if I feel that they’re just busy work or we’ve had too many quizzes in one week LOL! Thanks for sharing. Do you really make your kids do their subjects in the order and times you have set here? What would be wrong with giving them their books and letting them work at their own pace and order? Do you find Spelling You See worked better for you than All About spelling? I have a child that isn’t grasping it with All about spelling and not sure what to try next. I would say if AAS isn’t working, then yes try SYS. They are booth good, just different styles. I tend to like to go through AAS Level 1 at the very least because it has great phonics practice in it, but then my kids have also done really well with SYS. What do you use for vocabulary? How do you use the A Beka Reading books and Skills sheets throughout the week. Do they read the books throughout the week and do 1 skills sheet a week?? We do one Read & Think Skill test every Friday. I am not using the Abeka readers this year, she is doing my literature units instead. But if we were, we tend to just read one story/chapter per day. How are you using the Indescribable 100 Devotions? Do the kids just read it on their own or you do it with them? Thanks Erica! Thanks Erica!! What are you using during the 10 minute Handwriting and Reading portion on the daily schedule? She does my literature units during reading time, and this year we’re using IEW Writing and Spelling You See so I count both as handwriting practice. Will you be posting about your two older kids curriculum for this year too? Since your oldest is in 10th. We are using Abeka Math this year for 3rd grade but thought about switching to Math-U-See Delta for 4th grade since I am going to start my kindergartener with MUS this fall. I’ve been wondering if that transition would be too hard for my daughter since we wouldn’t be starting from the primer level of MUS with her. Hi Brittney, it may be a bit of a transition, but shouldn’t be too bad. You may take the placement test on the MUS website to see which level they recommend starting with. I noticed that there is not a specific Reading Phonics curriculum listed. At the 4th grade level, does the spelling program take over the phonics and literature allows more word decoding and recognition? My daughter (rising 4th grader) is currently using All About Reading level 3. I was considering All About Reading level 4 next school year. But, it appears that the Spelling curriculum I was interested in for 4th grade covers a lot of phonics (Spelling Workout). I plan to include the Memoria Press Literature curriculum. Do I really need AAR level 4? It really depends on the curriculum. Since we’re doing my literature units, and she’s a good reader already I didn’t feel the need to add in any additional phonics work for her. If your student is struggling reader, you may want to do something that still works on blends, vowel teams, etc. AAR is a great option. My daughter went through AAR Level 4 in 3rd grade though, and that’s the highest level they currently offer. 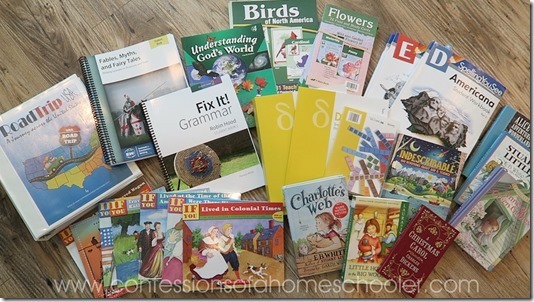 IF your new spelling curriculum covers a lot of phonics practice I wouldn’t worry about adding in anything extra unless you feel like she needs more help in that area.